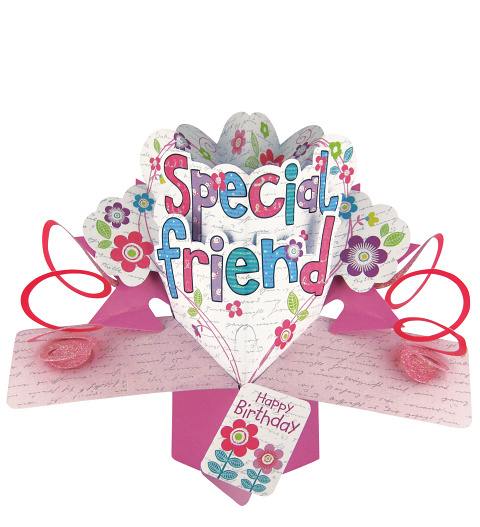 Wish your friend a very happy birthday with this special 3D pop card. As they open it, your birthday wishes will spring to life and make their day unforgettable! Send this card all on its own or along with a gift to celebrate in style.